Thing #1: the tabs at the top made it really hard for your eyes to be tricked into thinking it was a fancy paint color. 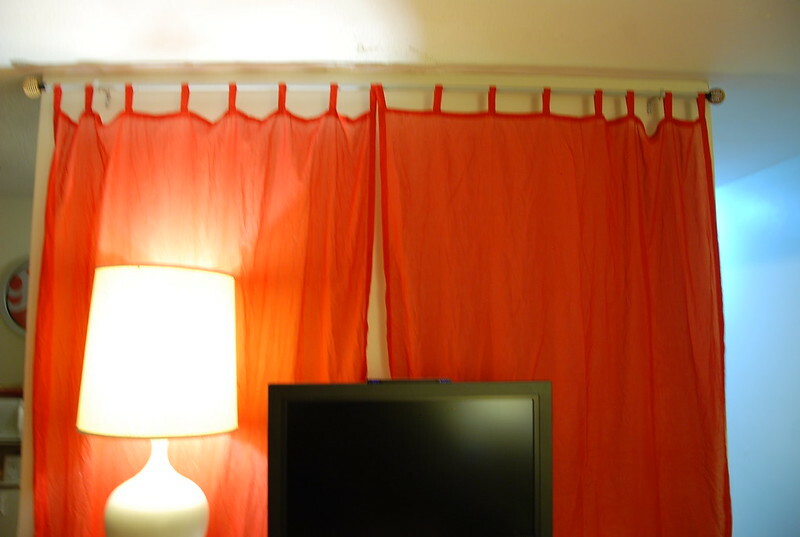 Thing #2: the two curtains would separate all of the time! Thing #3 (not pictured): they were too long and would pool at the bottom. So I fixed them. 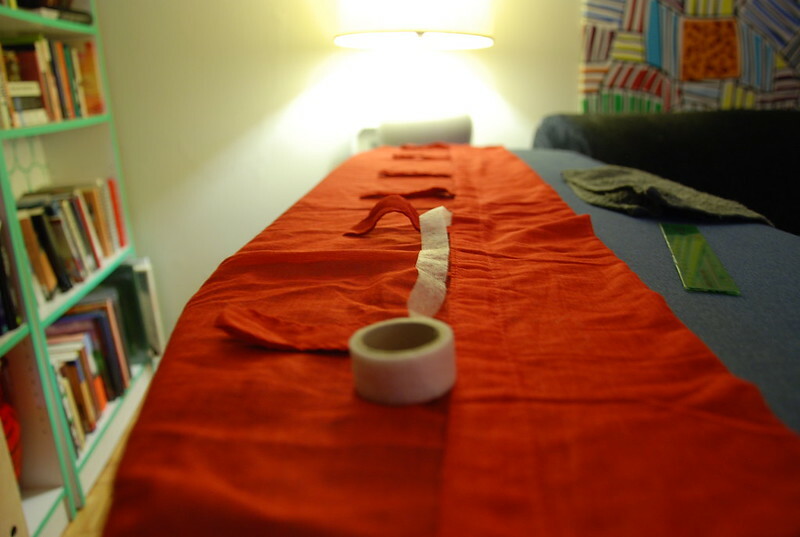 First I figured out how short I wanted them to be, folded the top over and ironed it flat. Hey, nice picture-taking skills. “Did you hire a photographer for this project?” said no one. Then I put fusible webbing (leftover from when my mom helped me hem some other curtains in 2008) under the band at the top. 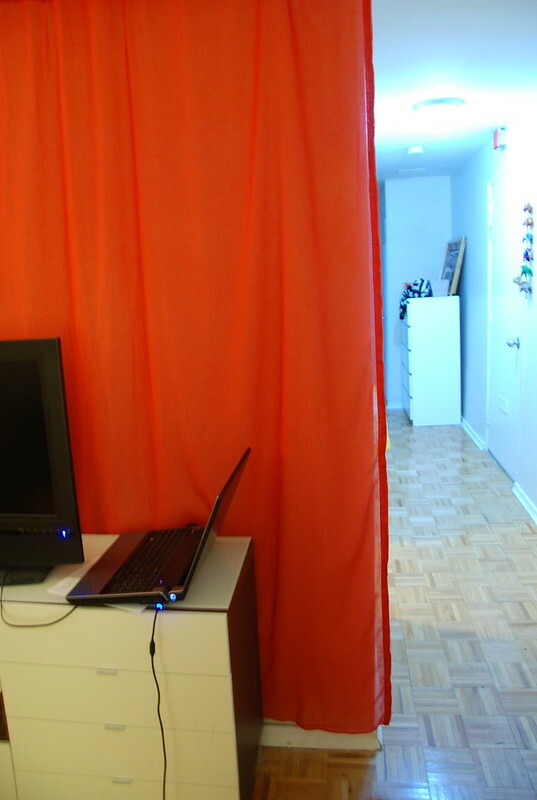 Then I fused together the two curtains down the center, except for the top part, because I wanted to get that right. 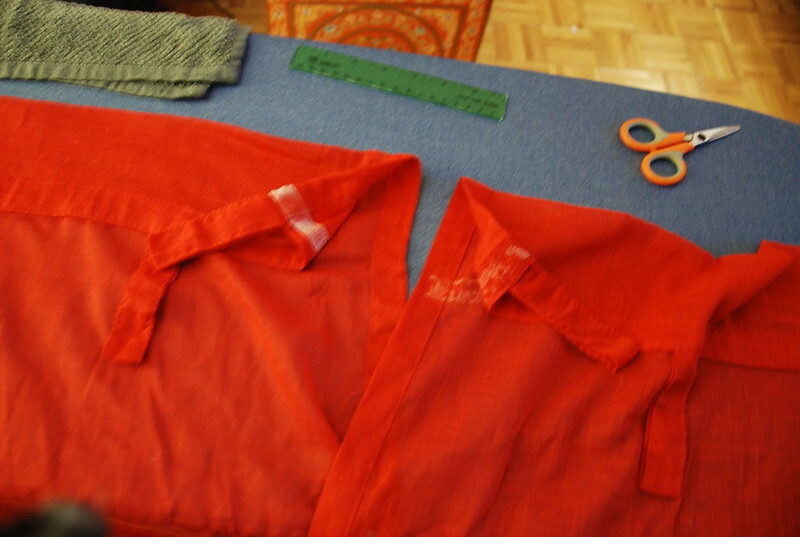 Then I cut the tabs off, because you could see them through the curtains! 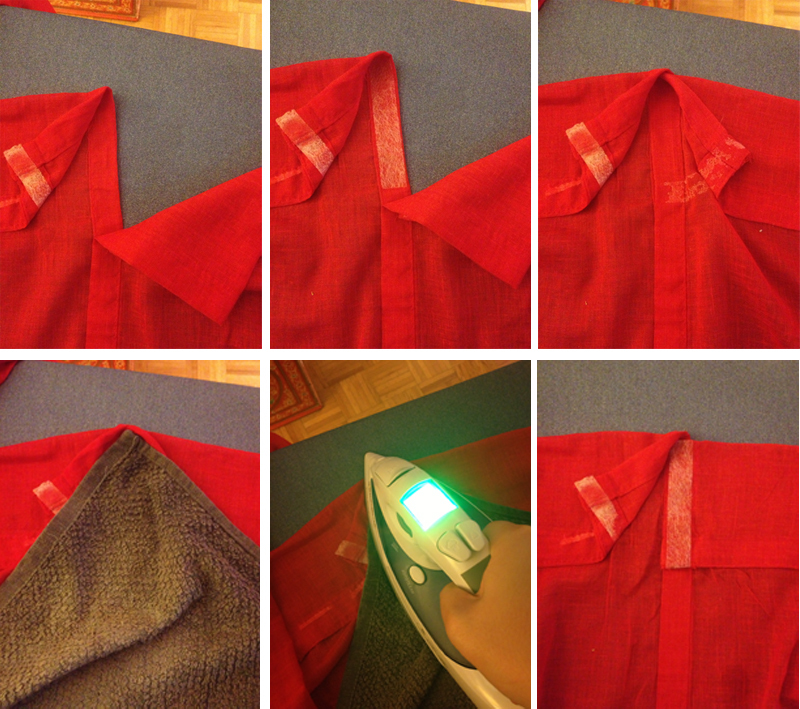 Here’s how I did the top part. 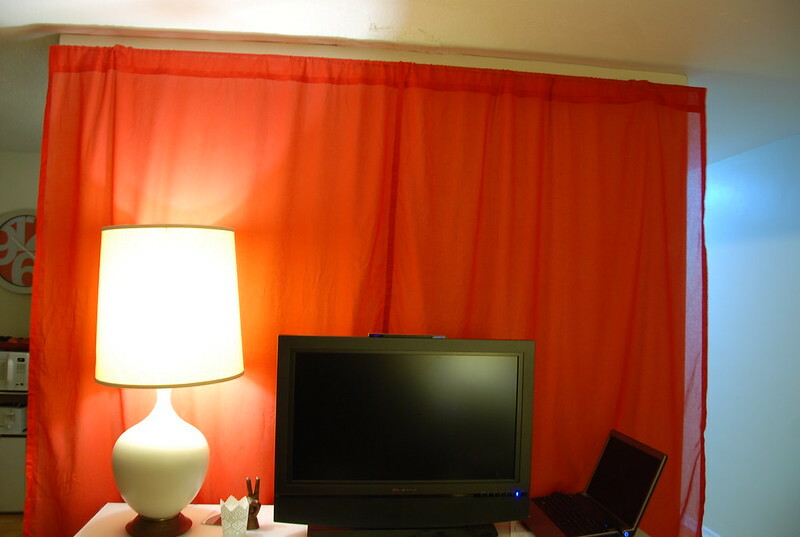 I put the webbing down on the inside of the left curtain, placed the inside of the right curtain on to of it and ironed it. 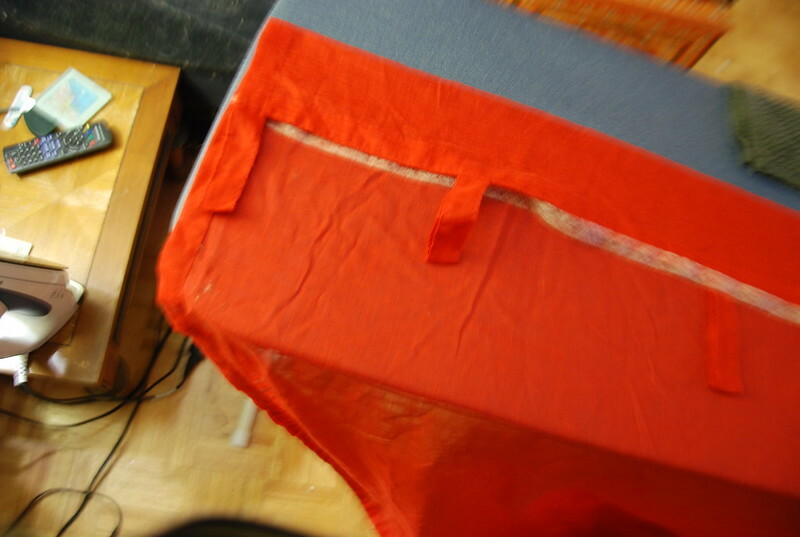 Then I put another piece of webbing on top of the right curtains top piece, placed the top piece from the left curtain on top of it and ironed it all down. Then I gently pulled the middle to make sure the webbing wouldn’t glue the whole thing closed. Done! 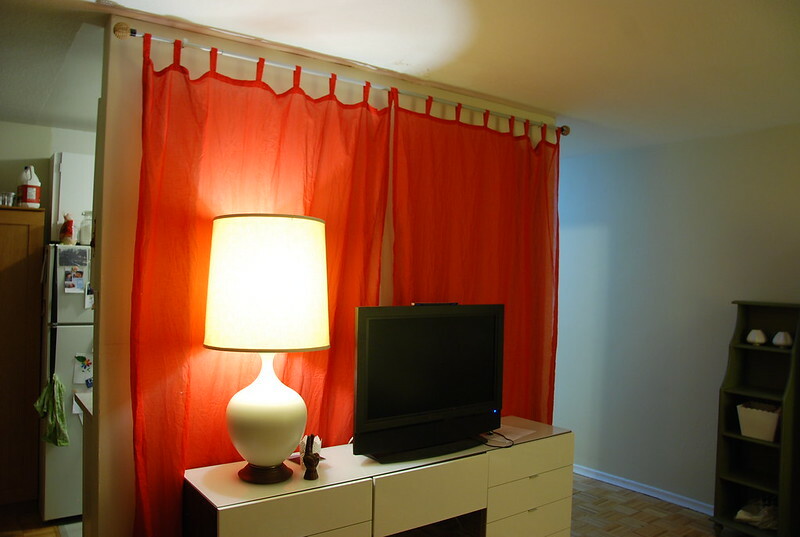 We also decided to take off the curtain rod end pieces and just have the curtain hang slightly over the edge. And here’s the bottom; no more pooling! I wish they were a tad bit longer but I’m much happier with this than the “before” option. And there is another DIYH project, brought to you by the letter Y for “yours truly” and the number 0. Another problem I never knew we had solved!